Russia and India are long-standing partners with a rich history of mutually beneficial cooperation. The two countries have great trading potential. 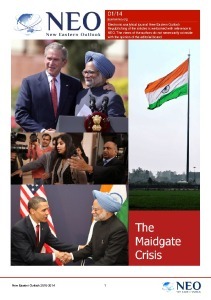 However, Russian-Indian trade and economic cooperation cannot yet be called very active. This situation is not acceptable to either side, and now Russia and India are working to develop their economic relations. For many years, the two countries have been cooperating in such critical areas as the defense industry, nuclear energy and space technologies. However, the total amount of mutual trade is still relatively small. Furthermore, over the past few years, trade volumes have begun to decline, forcing the leadership of Russia and India to pay special attention to this issue. Thanks to joint efforts in 2017, steady growth has finally begun. In the period from January-November 2017, Russian-Indian trade exceeded $8 billion, more than 21 percent more than trade for the same period in 2016. 2018 also began successfully – trade for January 2018 exceeded similar indicators from 2017 by 55 percent. It is expected that growth will continue, and in 2018 Russian-Indian trade will rise beyond the $10 billion mark. However, according to Russian and Indian experts, these figures could be much higher if the potential of Russian-Indian trade had been fully realized. In March 2018, the media reported on the meeting between the Russian Minister of Economic Development Maxim Oreshkin and Indian Minister of Trade and Industry Suresh Prabhu. During the talks, the ministers discussed various barriers to economic cooperation between Russia and India. Such barriers were found in the financial sphere, customs legislation and a number of other areas. As a result, a plan was adopted to remove these obstacles; with the successful implementation of this plan, Russian-Indian trade could reach $30 billion by 2025. Another important step in the development of trade relations between Russia and India could be the creation of a free trade zone between India and the Eurasian Economic Union (EAEU), in which Russia plays a leading role. In January 2018, preliminary consultations were held between representatives of the EAEU and Indian leadership in New Delhi. It is expected that by the end of 2018, the parties will proceed to full-fledged negotiations. While large-scale cooperation on a wide range of goods and services between Russia and India is yet to be achieved, it has long been at a high level in areas such as military technology. India has long been a major buyer of Russian military equipment. The joint Russian-Indian missile project BrahMos is successfully being developed. Among the latest news of military-technical cooperation between the two countries, India’s desire to acquire Russian S-400 Triumph air defense systems should be noted. It is expected that the corresponding contract will be signed by the end of 2018. India is also interested in Russian technologies for peaceful purposes. For example, in February 2018, a memorandum of cooperation was signed between the United Shipbuilding Corporation (USC, RF) and the largest Indian shipbuilding company, Cochin Shipyard Limited. In accordance with the document, the parties intend to jointly design and build modern vessels for inland waterways and coastal shipping. The list of vessels that Russian and Indian companies will jointly build includes tankers, dry cargo ships, passenger ships and hovercraft. Also, the USC can take part in the construction of shipbuilding and ship repair infrastructure in the Indian state of Andhra Pradesh. Additionally, Russia and India are considering many more joint projects related to the oil industry, aviation, electronics, pharmaceuticals and computer technology. A taskforce for priority investment projects, created under the Russian-Indian intergovernmental commission several years ago, is discussing these projects. The scheduled meeting of the group was held in September 2017. Among the issues discussed was the imminent opening of the Center for the Training of Specialists in the Fields of Energy and Heavy Engineering, which is to begin work in India in 2018. The center’s creation is the result of joint work between the Russian scientific and production association, TsNIITMASH, and Indian corporation, Heavy Engineering Corporation Ltd. In addition to the taskforce on investment projects, there are also Russian-Indian taskforces for science and technology, pharmaceuticals, tourism and culture, energy, promoting payments in national currencies and etc. Despite the work of officials, the improvement of legislation and engagement of business circles, the main problem impeding Russian-Indian trade is the geographical factor. Russia and India have no land border; between them lie the expanses of China and Central Asia. Most (more than 80%) of traffic between the two countries is carried out along the sea route originating in St. Petersburg and going through the Suez Canal. It is a long and difficult path, which is unlikely to realize the full potential of the Russian-Indian trade, no matter what favorable terms the two countries have created for each other. Therefore, a major step on the path to full-scale commercial cooperation between India and Russia includes the establishment of an international transport corridor (ITC) called, “North-South”, on which the Russian Federation, India, Iran and Azerbaijan are working together. The ITC project involves the creation of an extensive network of roads and railways connecting Russia and Iran. One branch goes from Russia to Iran through the territory of Azerbaijan; the other terminates at the Caspian Sea, in the port of Astrakhan. There, the cargo is loaded onto sea transport and follows the Iranian coast, then again continues via the railroad. The third branch goes through Kazakhstan, Uzbekistan and Turkmenistan. Passing the territory of Iran, these overland roads should end at the shore of the Persian Gulf, at the port of Bandar Abbas, from which they can reach the largest Indian port, in Mumbai. Thus, the ITC “North-South” should reduce the sea section of the route between Russia and India to a minimum. Work on the project is already not in its first decade; interest in the ITC faded and then reappeared. But finally, in recent years, participating countries have stepped up their efforts, and the “North-South” project has begun to rapidly approach realization. Nearing completion is the most convenient branch of the ITC from a logistical point of view, going through the territory of Azerbaijan. 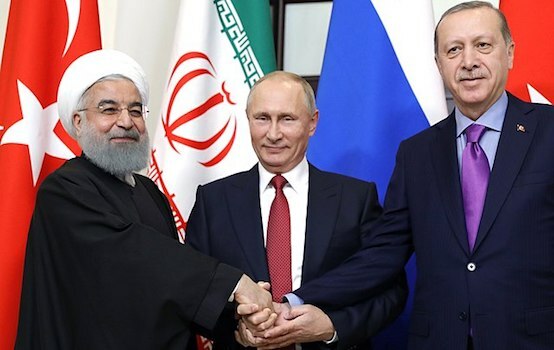 Following the implementation of the remaining 180 km of railroad between Iran and Azerbaijan, a direct rail service will be established between these countries and Russia. This means that communication between Russia and India will increase significantly. 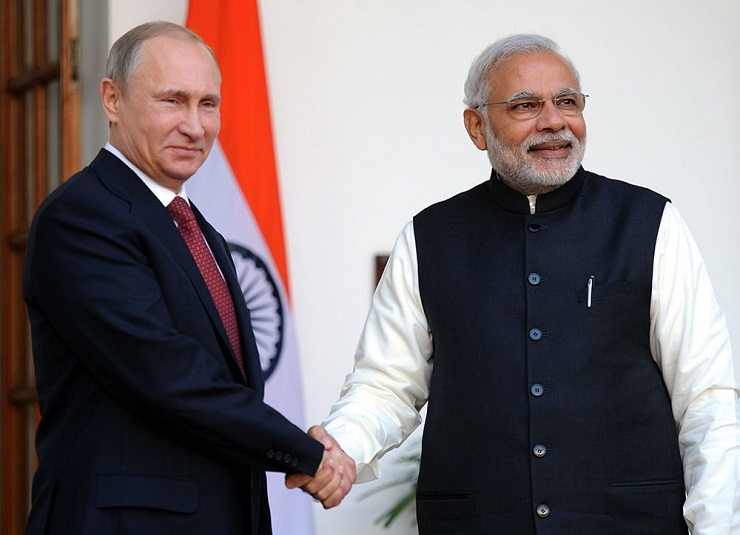 It can be concluded that Russia and India are seriously working to develop their economic cooperation. Given the enormous potential of both countries, one can expect that their work will soon yield very tangible results.